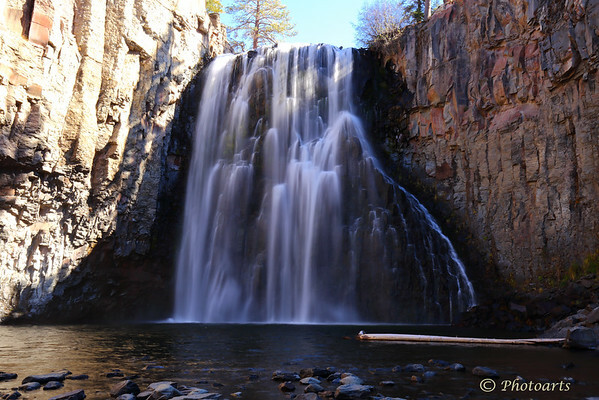 Rainbow falls is the highest waterfall on the Middle Fork of the San Joaquin River in California's Sierra Nevada mountains. Though low on water in the fall, the contrast between the water and the volcanic rocks beneath it is best viewed in this season. Superb shot and I love the water! Good use of a long exposure!